Morning update: Very important section added in Step 9. I call it Sharing My Mistakes. When we were first talking about trying to teach drafting, I promised I'd share all the bits I went wrong if it would be helpful in the learning process. Failed to include the photos in the original post, so added them (and some more Q and A) today. Those of you who read my original feed- please go see this addenum. Since I am on a self-imposed drafting sabbatical and my children still need things to wear, and I have bought everything on the shelves at Target that fit them, I made some undrafted (OK, some very basic drafting) winter clothes. I am extra pleased to have finally, after four years, found a wall in my house that gets some decent lighting in the winter, even if I have to stick dresses up on it with masking tape to take pictures. 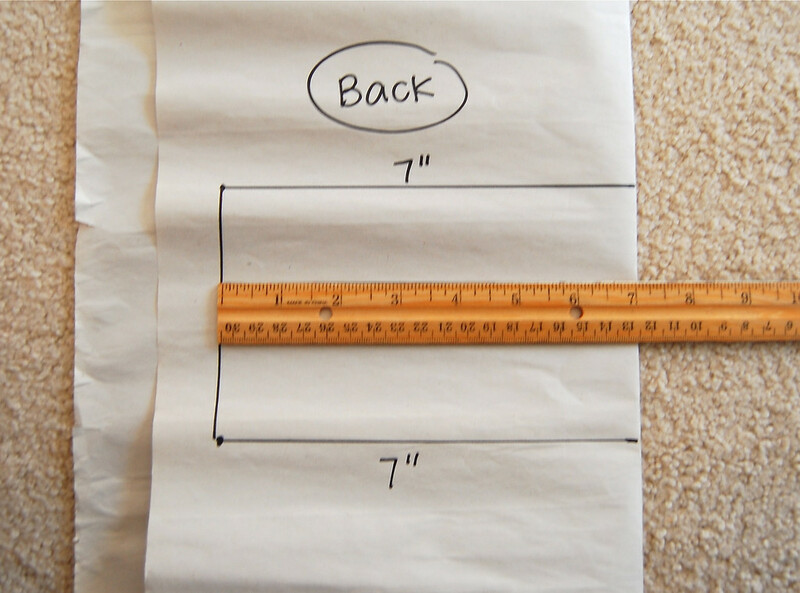 Over the next few posts, I am going to share some of my favorite non-drafting and basic drafting techniques for sewing clothes. They all have fancy names, like Trace Around An Old Dress, and Draw Shapes With A Sharpie. Some preamble about fabrics first, though. Technically, you can use any fabric you like to make any garment. Example: when I was a teenager, I made a pencil skirt out of burlap. Some fabrics work better for certain styles, obviously. When I think of winter, I like more clean, tailored lines and therefore gravitate towards the heavier, drapier or sturdier fabrics that hold these shapes - twill, corduroy, and heavy knits. 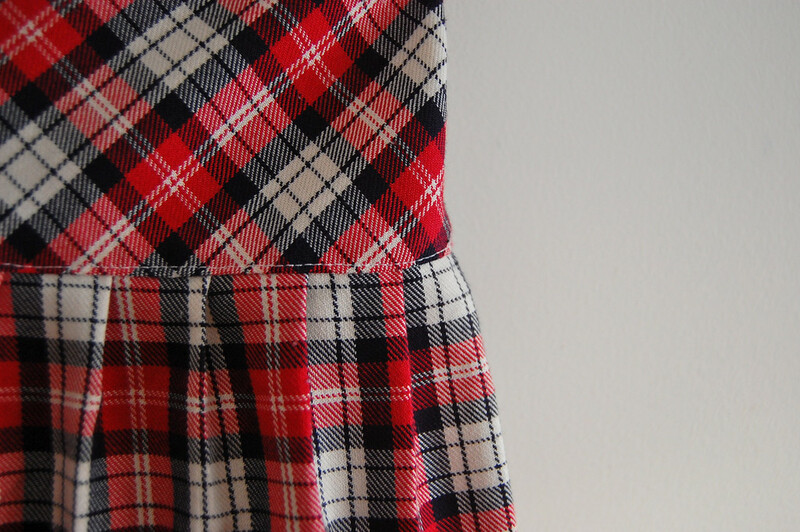 Our first winter dress project is this little plaid pleated skirt. Emily wears it with a white shirt. Pity she doesn't also have a black wool pea coat and black Mary Janes. They remind me of classy school uniforms and kilts. I think of them as a winter variation on the classic gathered skirt but with pleats in place of gathers to make the flare. 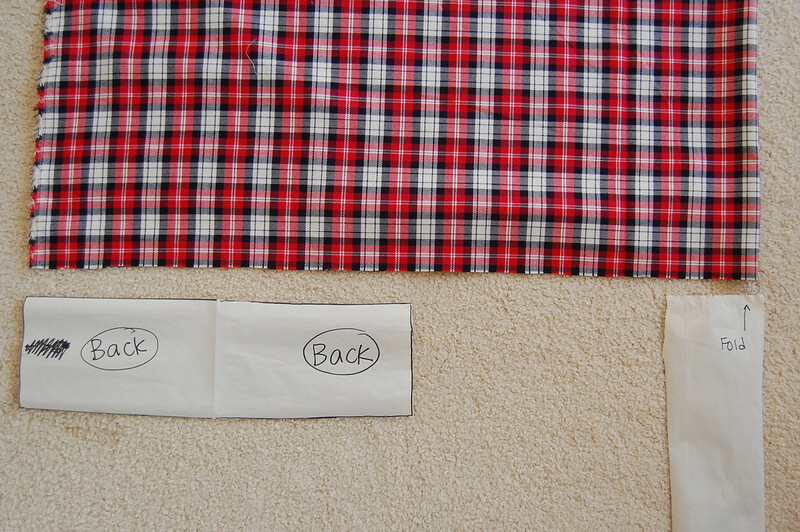 I used a yard of this plaid fabric and had plenty left over. I also used a bit of 1" elastic for the back waist. 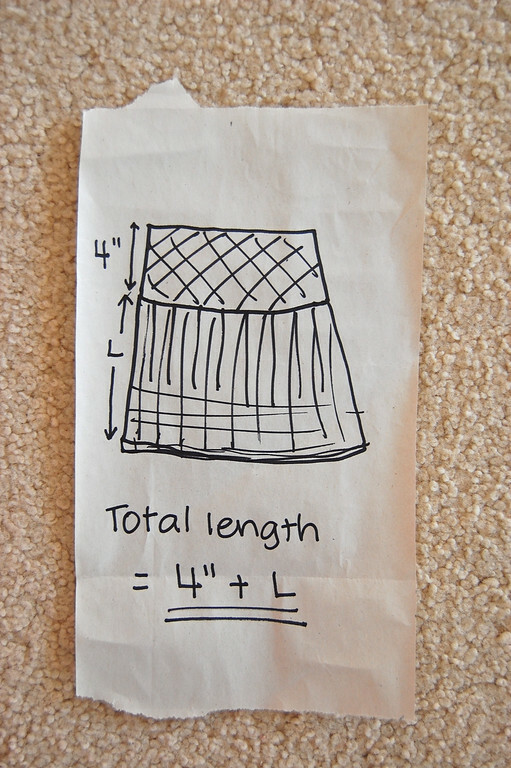 Start with a (crude) sketch of the dimensions of the skirt. I wanted pleats starting below a 4" yoke. There are several ways to make the yoke. You can make a rectangle that fits around the hip, sew the sides up and insert elastic in the waistband, like a typical rectangular gathered skirt. You could also cut a fitted yoke for the front and back and insert a zipper at the side (or back). I wanted something in between: a clean, fitted front and gathers in the back so Emily could just pull the skirt on. So yes, some minimal drafting to get the fitted front. Game to give it a shot? 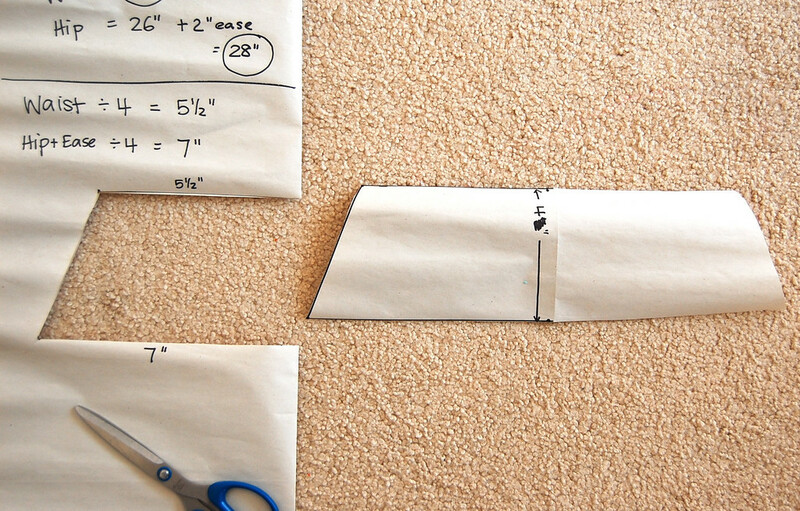 Grab a pencil, a sheet of butcher paper, scissors, measuring tape and a ruler. And your child, of course. 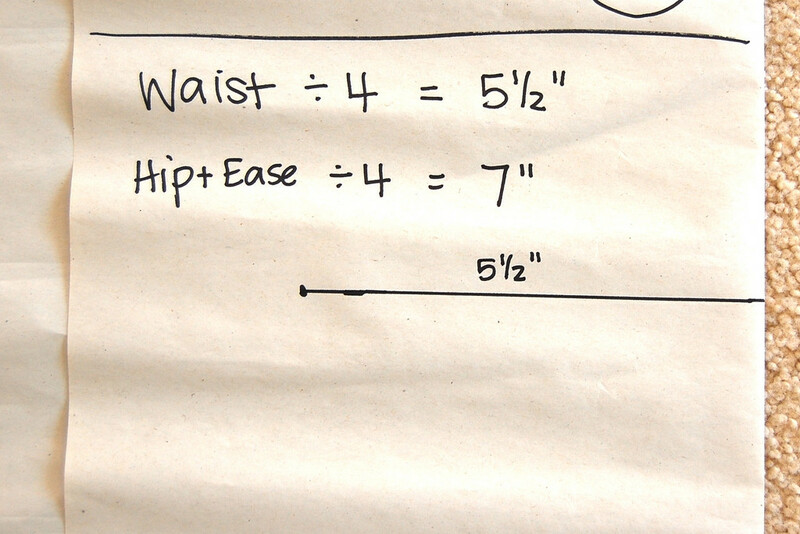 Measure the waist and hip. 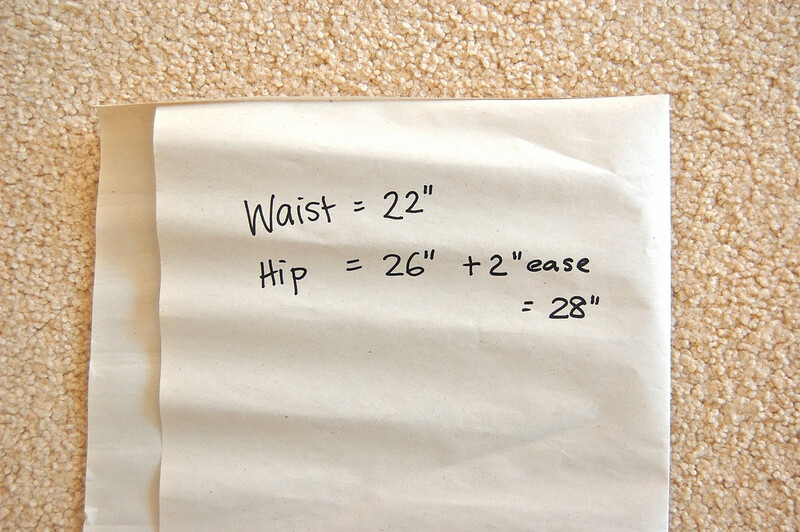 The skirt has to fit easily over the hip (biggest part of the lower body) so add 2" for ease. Q: Why aren't you adding any ease to the waist? A: Because the back waist will be gathered. The ease is provided for there. Fold the butcher paper roughly in half, vertically. Q: Does it matter whether the fold is on the right or the left? Divide these two numbers by 4 and write the answers down. 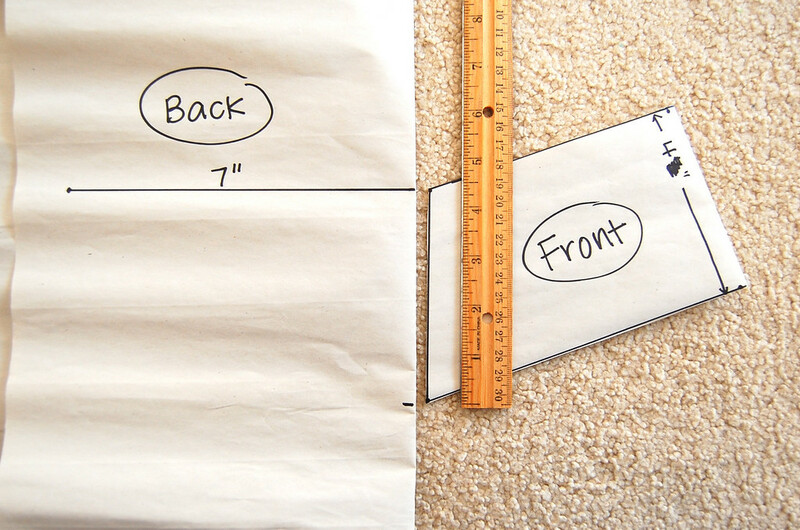 Draw the quarter hipline horizontally from the fold of the paper, 4" below the quarter waistline. A: Because that's the height of my yoke. Q: Incidentally, is there anything special about 4"? I mean, are most children's skirt yokes 4" or what? A: No, it's a completely random number. I looked at Emily and decided 4" was about good. Join the ends of the quarter waistline and the quarter hipline. This is your side seam. Cut out the shape you drew and open out. This is your front yoke pattern. The back waist is gathered, so we need it to be bigger than the 5.5" before gathering. To keep it simple, let's keep it the same as the hip measurement so we get a nice rectangle when drawn out. 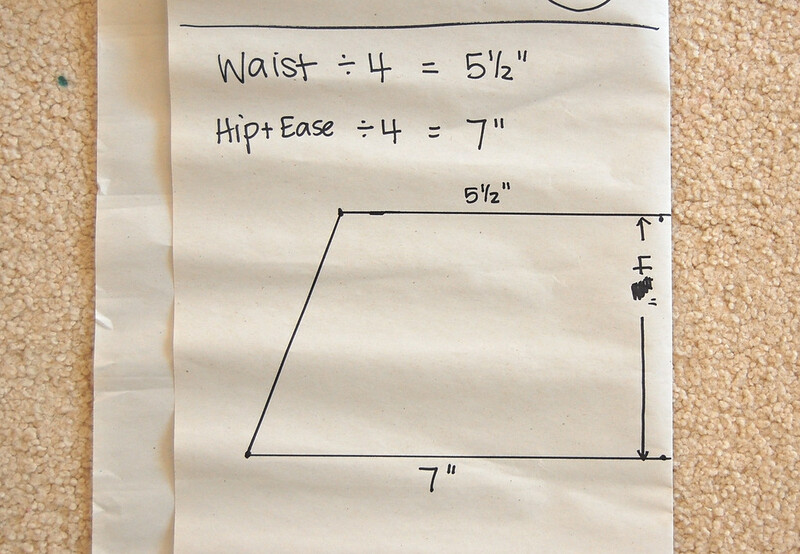 Draw a horizontal line from the fold of the paper, the same as the quarter-hip measurement i.e. 7". Take the front yoke piece and align the slanted side seam along the fold of the paper. Mark where the bottom of the side seam meets the fold of the paper. This is the height of the back yoke. You'll notice it is a bit bigger than 4" because of the slant of the side seam of the front yoke. This is to match the side seams when sewing. Draw the quarter hip line (i.e. also 7") from the fold of the paper, from that mark you made in Step 8. Join up the side of the rectangle and cut out the shape. This is the back yoke. You have a front yoke with a 11" fitting half-waist and 14" loosish half-hip. You have a back yoke with a 14" pre-gathered half-waist and a 14" loosish half-hip. When completed, you will have a full yoke that fits comfortably around the real 26" hips and, with elastic inserted, hugs the 22" waist, with all the messy gathers in the back, and a smooth, fitted waist in the front. The side seams of the back yoke and the front yoke match. 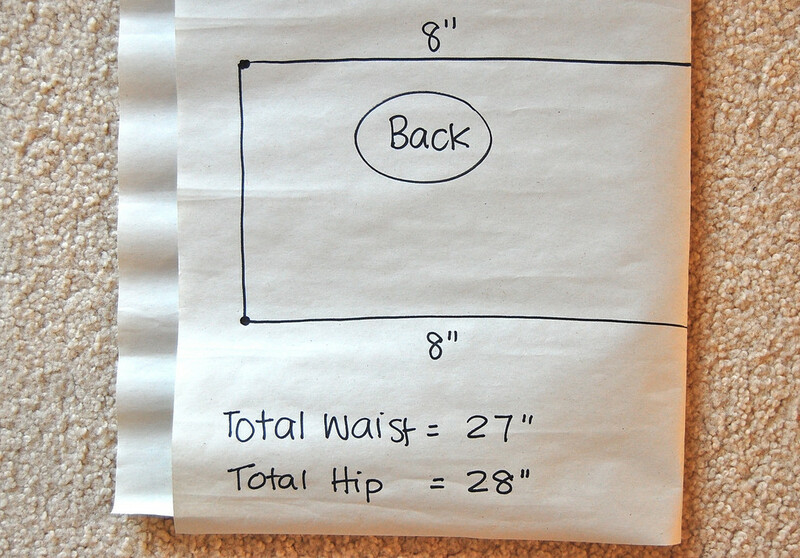 Q: Erm, if I did the Math right, the total pre-gathered waist is 11"+14" = 25" and the actual hips are 26". Would the child be able to pull the skirt up over the hips since the waist is smaller by 1"? A: Ah, you aced Math in school then. It would be an awfully snug fit for a real 26" hip - it might go on with some wiggling. To avoid all this, add an extra inch or two to the rectangle you drew in step 7. 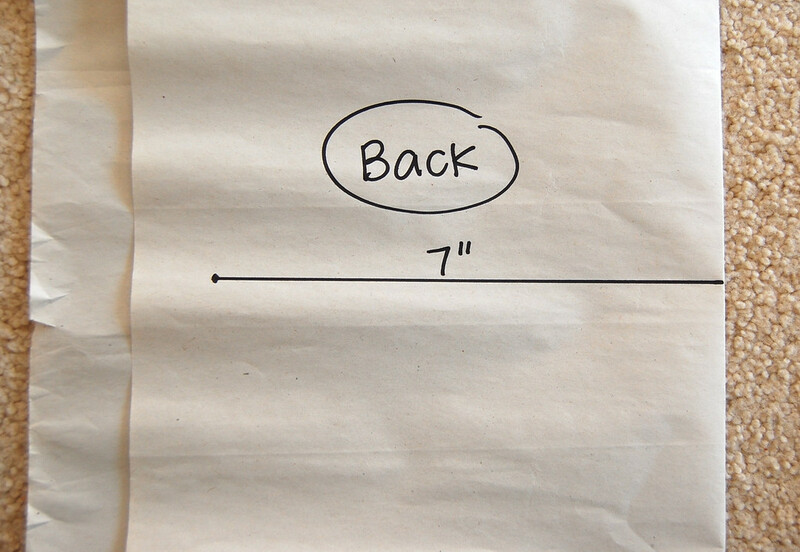 Remember we picked a random number for the back waist and made it 7" just to get a rectangle? An 8" rectangle would work. Q: Wow, that would make an awful lot of ease around the hips. Any way to make the waist bigger without changing the hips? 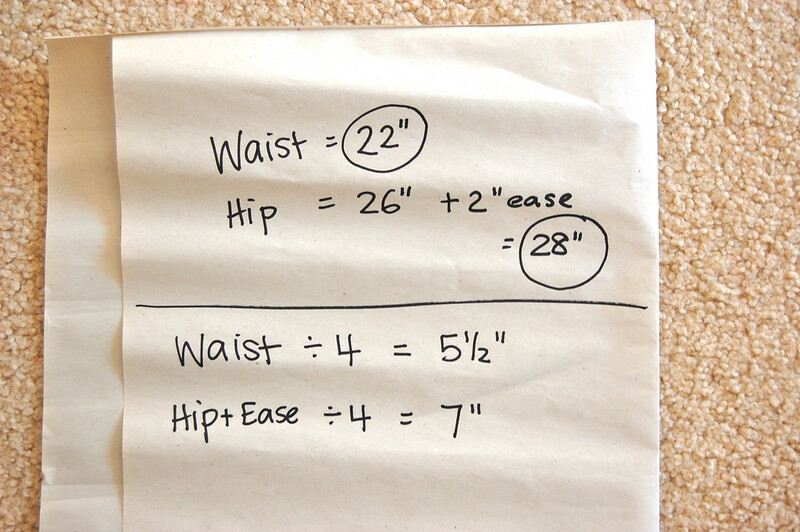 So now the hip+ease is still 28" and the overall waist is more roomy and all the waist ease is still at the back. This is an overall better fit. 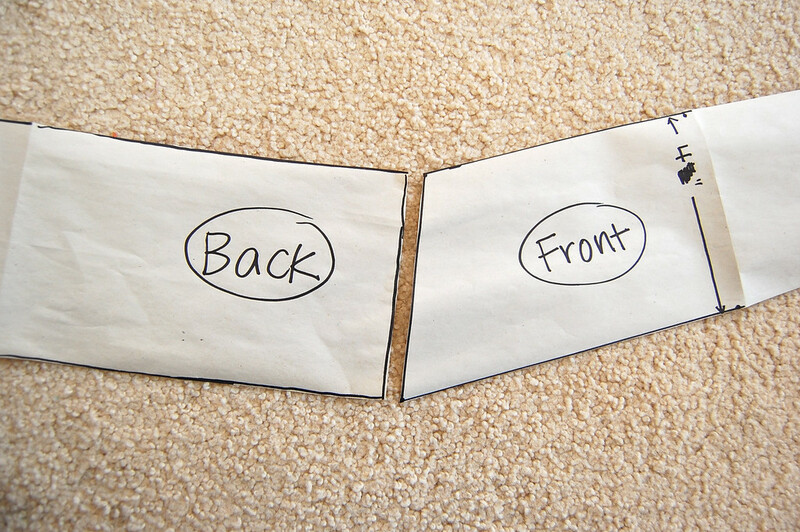 Fold your fabric diagonally and align the fold of the yoke paper patterns along the fold of the fabric. Ignore the fact that I am using the unrevised paper pattern - it's just to show how to place and cut. Make sure you leave enough room for seam and allowances. I used a half-inch seam allowance all around. (i) A full facing. 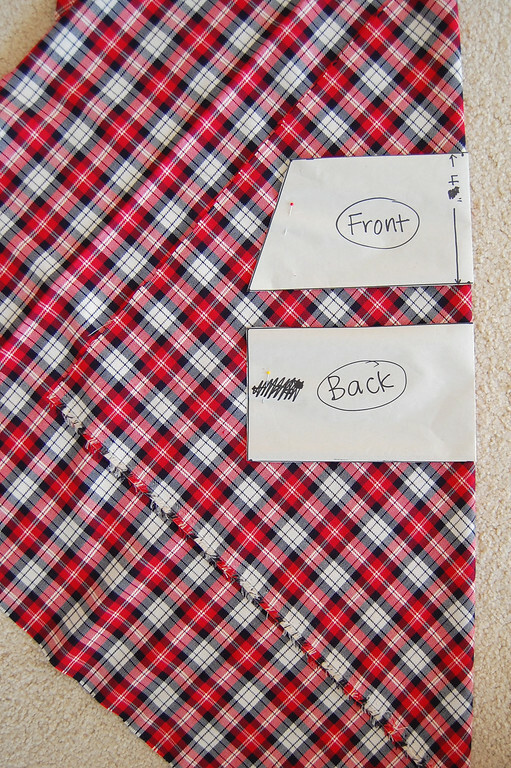 Cut exactly the same front and back yoke shapes out of lining fabric (or use the same plaid fabric) from the paper patterns you made. (ii) A waistband facing. Use your paper patterns, but make the facing only high enough (measured from the waist down) for an elastic casing with seam allowances. Q: What's the facing for? A: You need a double layer, at least at the waistband, to encase the elastic. Place the front and back yoke pieces together, right sides facing and sew up the two side seams. Repeat for the yoke facing. You now have two cylinders. Place the facing cylinder inside the yoke cylinder, right sides facing, so that the front pieces are touching each other and the back pieces are touching each other. Line up their side seams and their top (waist) edges. Sew around the circumference of the waist. Turn right side out and iron the waist hem. 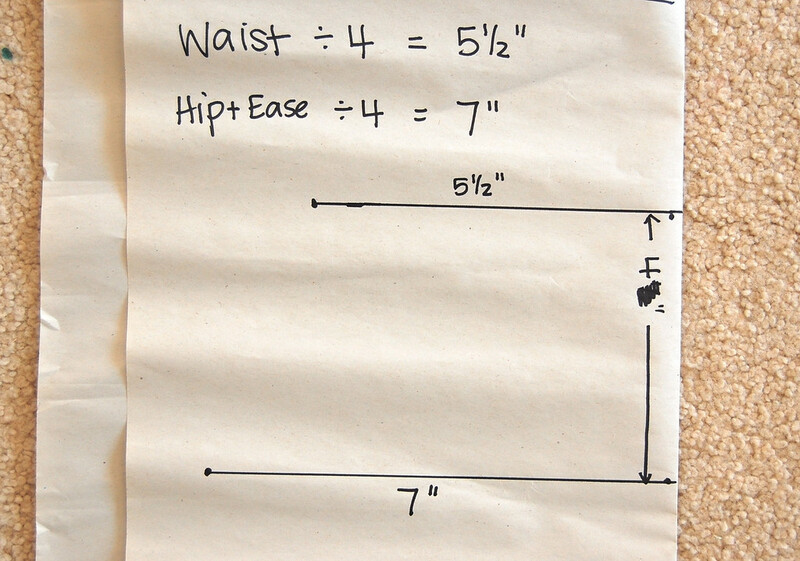 (i) If you have made a full facing, sew another line of stitching about 1" from the waist hem, to form an elastic casing. Leave a large opening in the back to insert the elastic. (ii) If you have made a waistband facing, fold to make a casing a little more than 1" wide and sew the hem down all around, leaving a large opening at the back to insert the elastic. Stretch a piece of elastic around just the back of the child's waist to get the length you want. 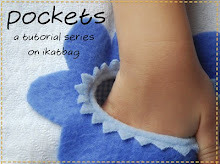 Insert one end (without safety pin; just shove) into the opening of the elastic casing until it reaches the side seam. Stitch it in place through the layers of fabric. Repeat for the other end of the elastic. Cut a rectangle of fabric along the grain so that the longest edge of the rectangle is about 1.5-2 times the hip+ease measurement i.e. 28". I used the full width of the fabric which was about 45". Q: Which edge of this rectangle should be parallel to the selvedge? A: The short edge. The skirt should stretch (if at all) sideways when worn, not vertically. The height of this rectangle L should be the length of the skirt minus the yoke. The total length of Emily's skirt was 16". 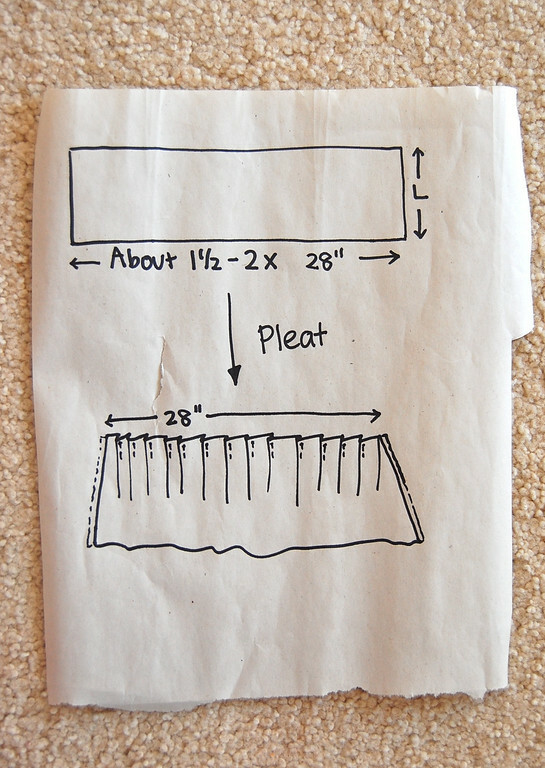 So the rectangle I cut out for the pleats was 12" high+0.5" seam and hem allowances on the top and bottom = 13" high. Manually fold and pin pleats to reduce the width of this rectangle to the same hip+ease circumference of the yoke. Don't forget the seam allowance! 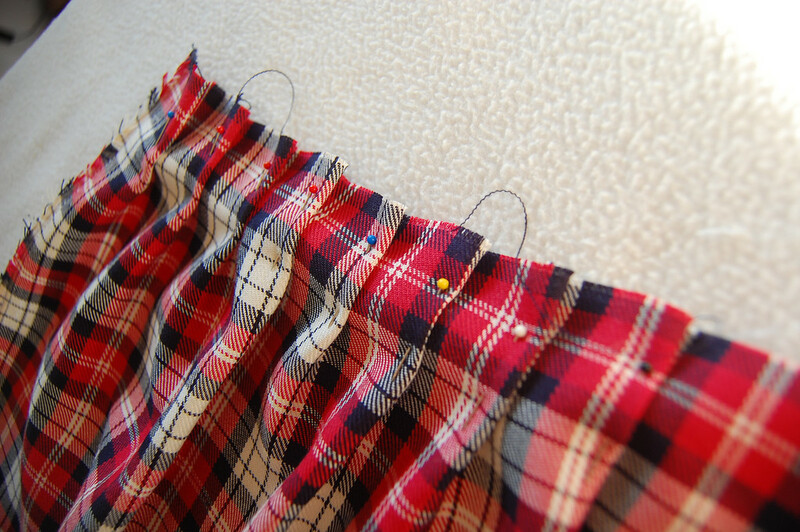 Sew a line of long stitches about 1/2" from the top edge of the pleats to hold them in place. Q: Is there a method or formula for getting it exactly 28"? A: Yes. It is another of my sophisticated techniques called Trial and Error. Sew up the side seam of the skirt and serge/finish the seam edges. Turn the pleated skirt right side out. Turn the completed yoke upside down and inside out. Pop it over the top of the pleats and line up the top of the pleats and the bottom edge of the yoke. Pin in place and sew all around to attach the pleats to the yoke. Add a line of top stitching close to the hem where the yoke joins the pleats. This is optional but it does hold everything down nicely. Finish the bottom hem of the skirt. Completed - drafted from scratch from start to finish. Clever you! 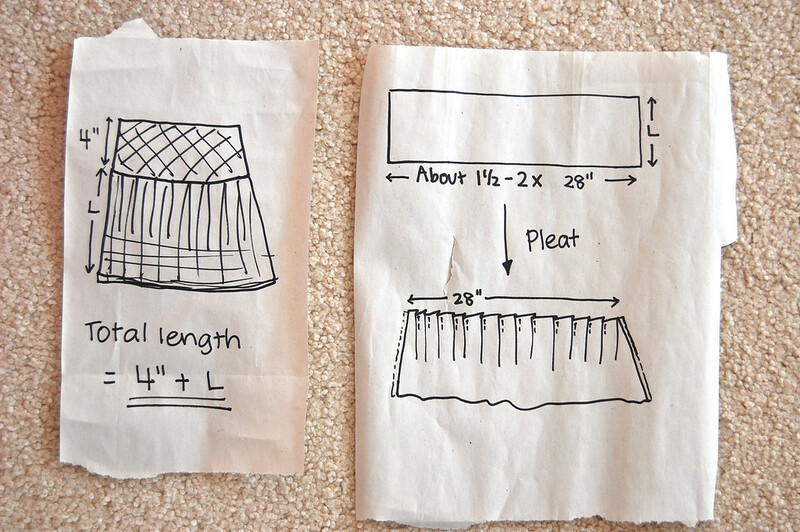 Cute skirt and a very well-written tutorial. Makes me wish I had a little girl to make one for - it is so adorable! Oh this looks gorgeous! Want to make one for myself! Need to get back to a more sewing-compatible figure first though ... so good reason to put it off for now ... :-) But one day ... !!! I LOVE the fabric you chose! SO pretty! With every new thing I sew I'm learning a little more, so I've learned a lot since my last 'woe is me' comment. But tutorials like this really help to ease (ha ha, I made a sewing funny, ha ha.. nevermind) the learning curve. Thank you, thank you. I LOVE this! Your blog totally inspires me! I think I may just make some for my three girls! I really think I can do it! Will definitely send you a pic if I do! Thanks! You and I are living on some parallel plain of sewing-thought! 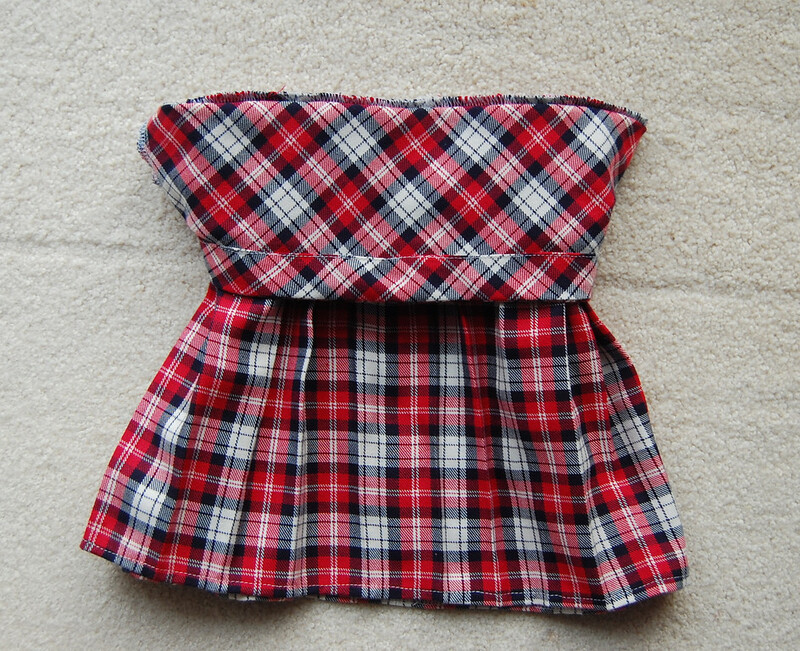 For Christmas '09, I made the small one a yoked skirt with box-pleats (with a bit of elastic on the back waist)....in a plaid cloth! Will post pics on the blog soon but as usual, I have yet to take some decent photos. FYI, she wore it with a peasant-style white blouse. And yours? ummm, wow. I am speechless. This is an amazing pattern/tutorial/lesson. So detailed and so well written. Oh how I wish NORMAL store bought patterns had Q and A's after some steps. I've decided that you are now a super hero and I want to be you when I grow up. You are amazing. 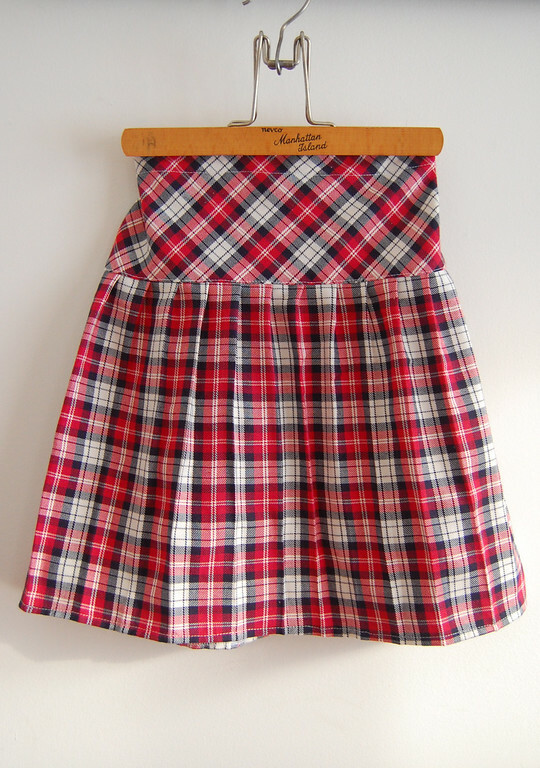 Oh, and the skirt is adorable too. Jen: Mine wore hers with a white LS Tshirt and a hoodie cardigan. I'd have made this shorter if I could be sure she'd sit modestly, but oh well! Now box pleats are one step classier -post pictures, quick! Laura: I'm guessing (without actually haven't seen you) that the bias-cut of the yoke might drape sufficiently without darts. But if you're particularly curvy, some darts might help get a better fit in the flat front yoke. Love this plaid skirt. love that you posted the tutorial as well. LOVE this woman!! You make this so "doable"! Can't wait to make skirts for my two girls! Thank you for sharing! I made one! I don't have access to lovely heavy fabrics, so I hit up the qulting stash- will just have to layer heavy tights underneath or save it for spring. I made it before you added the extras to step 9, but I had already added an extra 1/2" to all measurements- so it goes on a little snug, but it goes on. I gathered instead of pleated because purple fairy fabric screamed "gather" and I made the yoke a solid purple to compliment. I did a 5" yoke and wish I would have stuck with 4". I am sure my 4yo will want one, too(EEK- I'm out of fairies! )- so I will post pics on my blog when I am all done. PACountry: WHOOOOOOOOO! Can't wait to see the pics! Yes, sorry about forgetting the extras in step 9. Good thing (for me) that you readers are all smart anywhay - phew! Oh right, I forgot that I have hips (or rather, more hips then your girls!) I will keep those darts in mind. When will you be posting adult shaped tutorials? Five stars! Thanks so much. I will have to make something now. so cute! I'm glad you go into all the detail. I learn so much!!!! Here is my blog post about the one I made from this tutorial! Such a cute skirt! Thanks! I'm sure it will be the first of many! Thank you! I was having a terrible time picturing how a yoke got attached to a skirt but now I get it. Great tutorial thx! I made one up and LOVE the way it came out! This looks really great, and just what I'm looking for for my two daughters, but one of them has no hips! She's 22" at both tummy and hip, so what kind of measurement should I do for the back of the yoke? It depends on what the separate front and back measurements of your daughter's waist and hips are. 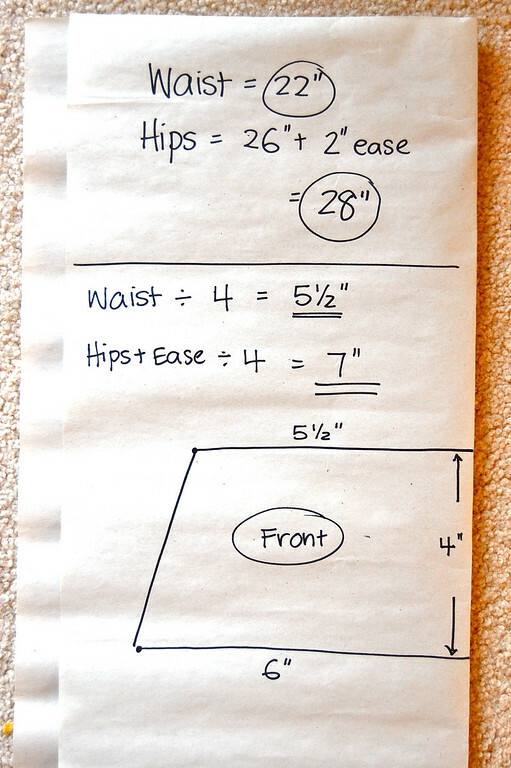 Measure the front and back portions of the waist and hips, and draw the front pattern based on those. Make the back yoke pattern a rectangle whose width is the back hip measurement (with ease). I realize I am a latecomer, but I just discovered your blog tonight. Where were you in the seventies and eighties when I was sewing for my little girls? 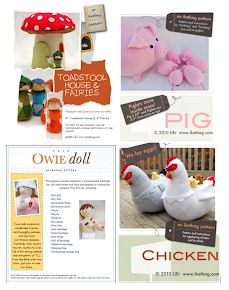 (What I wouldn't have given for the internet,my sewing blogs, and my sewing/embroidery machine!) Thank goodness that I have granddaughters! Hi there. How much is the seam allowance I should use for the yoke? What a great tutorial. I just finished this skirt for my niece. I made it to match a pleated skirt for her American Girl doll using a Liberty Jane Pattern. Hohooooo, I like this tutorial; thank you so much for these instructions ! I have tried this skirt. I'm new to sewing and could easily make this.Thank you!